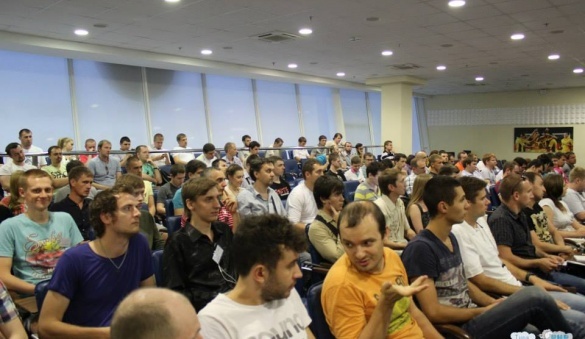 We welcome everyone to visit another developers’ meeting ThinkPHP #11, which will take place on 17th of April in Kharkov. For three years now our company has been organizing PHP-developers’ meetings where you can share your experience, get to know about different solutions from your colleagues and simply communicate with likeminded people in an informal atmosphere. Everyone is welcome here from beginners to developers with many years of experience. Taras Omelianenko’s report topic is ‘Symfony2: RESTful API development.’ Nowadays RESTful becomes more and more popular in server API development that’s why the report will be interesting to many programmers. Taras will tell you how the API is designed, what bundles can you use to make the development faster. You will find out about typical mistakes in application structure formation and how to avoid them. Additionally, the speaker will give you an insight into model validation and serialization, concluding his report with useful information about API testing particularities and details. Mikhail Bondarchuk will be the next speaker at the meeting with the report called ‘Test an elephant! (PHP-projects testing peculiarities)’. Testing is an extremely important stage in product creation, however many developers approach this halfheartedly. Mikhail will tell you why developers need tests in the first place, and why they are sometimes far from being modular. He will explain what you can and cannot test, inform about existing approaches to testing infrastructure formation and about what stands behind such terms as TDD/BDD/mocks/stubs, etc. Then Mikhail will give a short review of existing testing frameworks: PHPUnit, PHPSpec, Codeception, Behat, describing their features, pros and cons. An in-depth review of the testing framework Codeception will be given at the end of the report. The third report called ‘Building better PHP — HACK (HHVM),’ will be presented to you by Alexander Ganzha. The argument over pros and cons of a programming language Hack has been running since its appearance for a year now. That’s why Alexander decided to dedicate his report to this trending topic. He will start by telling about the ‘crutches’ used in PHP, proceed with PHP 7 review also mentioning disadvantages of the current RFC (and especially the Return Type Hints). Then Alexander will tell you about type checking in Hack, about strict-mode and will review the static type analyzer in Hack. Afterwards he will discuss asynchronous PHP (AsyncMySQL, AsyncCurl) with the audience. In conclusion the speaker will list all ‘pros’ and ‘cons’ of using Hack in production in order to give listeners more complete idea of the advantages and disadvantages of this instrument. Keeping to an old ThinkPHP tradition, every speaker will get a plush mascot ElePHPant as a present.